I don't think a movie director is necessarily a good fit for video games. However, I think the ones best suited to the task would be directors that are, in the oldest sense, storytellers (like, obviously, Del Toro). Even with good storytellers, however, there is a huge hurdle. Storytelling is not gameplay. The trick will be to create a good story in a complete world with compelling gameplay. Guillermo was actually creatively involved with Science of Evil and it was not a very good game. The Wachowskis were heavily involved with Enter the Matrix and it was terrible. Regardless of the boundless importance of solid art direction, I think the quality of a outsider-directed vehicle will rest ultimately on the shoulders of whoever is in charge of the actual play mechanics of the title. The best example of a best case scenario would be a game like Darksiders. The creative direction of Joe Madureira was used to great effect by the people who designed the rule-set by which the gamer would interact with the beautifully imagined world. Fun Fact: If you want to play a Del Toro game that Del Toro had nothing to do with, go out and get Folklore for the PS3. One of my favorite (and sadly, overlooked) games this gen. I think there is a great deal of experience that movie makers can bring into games. Traditionally games designers are often programmers or other technology-educated guys who don't necessarily have a good grasp of the fundamentals of storytelling. They would learn how to do that as they go. Some would develop the skills, some would not. As games become more and more cinematic you start to see huge gaps of knowledge. A good example is something like Heavy Rain. It was a fascinating experiment but I don't think that David Cage has enough experience as a filmmaker to do justice to his very own vision. I recently had the pleasure to meet some TV film people who are trying to get acquainted with the video-games. They are fascinated by the possibilities but often fail to grasp the complexity behind it. For example I had to explain why it's difficult to make music in games compliment the action. They didn't even think that different players will play at different speed or do things in a different order. On the other hand, they were instantly able to spot the mistakes in cut-scenes, voice-acting and the portrayal of characters. They were also able to give some surprisingly effective and quite in-depth suggestions on how to fix these mistakes. So there is a lot of learning that need to be done on both sides to make that transition smoother but I think games would benefit a lot from that influx of fresh ideas. 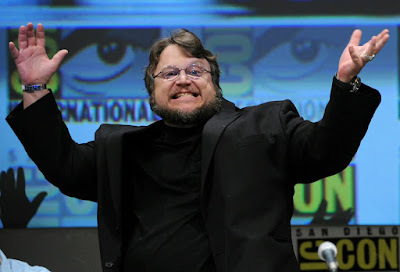 I hope that unlike Science of Evil and Enter the Matrix, del Toro gets to create something unique. Licensed games face an uphill battle, and they are already going to be living in the shadow of their franchise's "native" medium. Thanks for sharing those stories. It's heartening to hear that there seems to be a lot of willingness on behalf of both the programmer folks and audio/visual folks to learn about each others' crafts!